The last time we checked in on well known sneaker customizer Jack The Ripper, he had crafted an exclusive "Cactus Jack" Air Jordan 3, borrowing details from some of Travis Scott's recent Air Jordan collabs. For his latest project, Jack The Ripper applied Virgil Abloh's familiar Off-White detailing to the iconic Air Jordan 11. The special edition customs consist of the deconstructed look that has become synonymous with Off-White and Nike's "The Ten" collection, as well as a translucent polymer that wraps around the silhouette in place of the traditional patent leather. 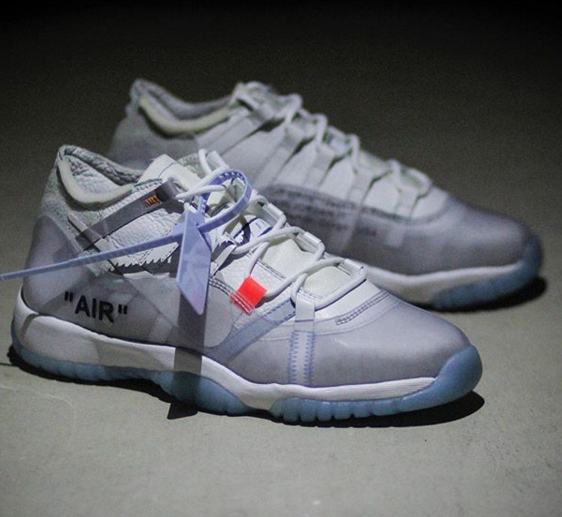 Of course, the Off-White inspired Air Jordan 11s wouldn't be complete without the baby blue zip tie, "AIR" text, and a bright orange tag in place of one of the lace loops. Check out some additional images of the Off-White x Air Jordan 11 in the IG posts embedded below.